Kenyan Interior Ministry spokesman Mwneda Njoka told CNN that police have launched an investigation and have yet to establish a motive. Some reports also suggested his death may have been the result of a botched robbery, but questions have been raised that his death might have been related to his work, per The Guardian. The Star, Kenya reported that Bradley Martin had been traveling around the world with his wife and colleagues Lucy Vigne and Dan Stiles on a mission to identify ivory and rhino markets, the traffickers and the modern-day uses. He was reportedly working on an exposé on the findings. Bradley Martin, a trained geographer and a former special envoy of the United Nations for rhino conservation, dedicated decades of his life to document the dangerous, unsustainable and illegal wildlife trade in Vietnam, Laos, China, African nations and the United States. He risked his life by going undercover and posing as a buyer of the illicit items and published numerous articles on the state of wildlife trafficking. Notably, his work helped persuade China to shut down its rhino horn trade in 1993 and then its ivory trade in 2017. Decades of unprecedented poaching for elephant ivory and rhinoceros horns have threatened the survival of these iconic animals. Bradley Martin told Nomad Magazine last year that he first came to Africa in the 1970s, when there had been a huge slaughter of elephants in East Africa, followed in the 1980s by rhinos. "In Kenya, there were around 20,000 rhinos in 1970, but by the 1990s, most of the rhinos had been eliminated. The puzzle was: why were all these rhinos being killed, and where was the horn going?" he said. A UN report found that 60 percent of elephant deaths are at the hands of poachers and at least 20,000 elephants were killed for ivory in 2015. Save The Elephants, which published Bradley Martin's last report Decline in the Legal Ivory Trade in China in Anticipation of a Ban last year, lamented the loss. 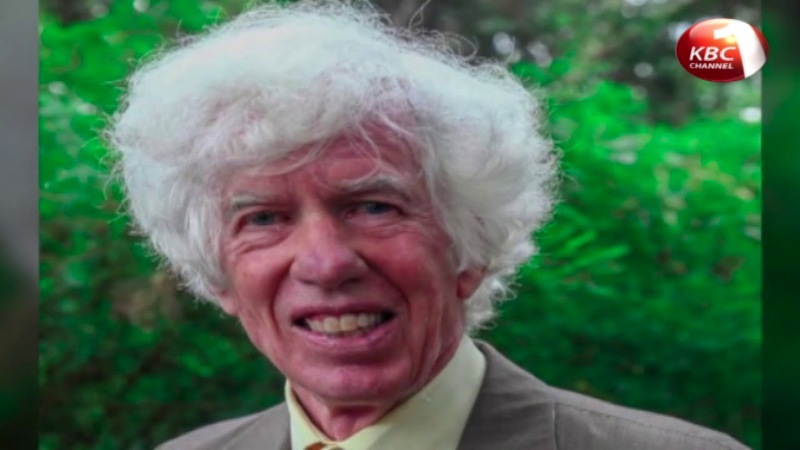 "We are deeply saddened by the death of wildlife-trade researcher Esmond Bradley Martin who died yesterday in Nairobi," the conservation group said. A long term ally for STE, passionate champion of wildlife and meticulous researcher, his loss will be deeply felt by all who knew him." Tom Milliken, TRAFFIC's Elephant and Rhino program leader, who knew Bradley Martin since the late 1970's said: "Esmond was the individual who invented modern market monitoring for ivory and rhino horn and he blazed an unparalleled trail around the world, endlessly documenting the scale and scope of the ugly trades that continue to push the world's iconic pachyderms to the brink."